When it comes to refurbish your old car then there are number of different options that can help you out. For instance, buying used engines and other auto parts. But these items are available in cost effective range and will you find a low mileage and high performance oriented engine in this budget? The answer is Yes, if you are at our store and consulting our auto experts and get some of the finest deals in used Volvo engine that you are looking for your automobiles. 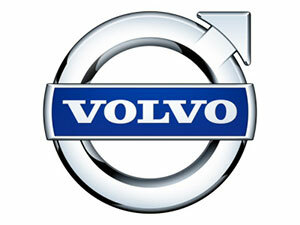 We have maintained a best database of Volvo engines that no other provider can offer you. We have maintained a long clientele of satisfied customers that visit us again and again for every requirement as they know that we always with the best. Sharper Edge Engines has built strong relationships with reliable salvage yards all around the country. Most people do not realize that salvage yards are filled with vehicles that contain quality auto parts that can be used as replacement parts in your Volvo. We are able to find you these engines and offer them to you at deeply discounted prices. All of our used engines are carefully inspected and tested – they will not be offered to you unless they are ready for installation and guaranteed to have your Volvo running. You can be assured that we offer the highest quality auto parts at the lowest prices! All we want to say that not all sorts of used engines are waste of the money and not every seller of used engine is a fraud. If you are getting appreciable offers in used Volvo engines for sale then purchasing used engines is one of the alternative is best that will efficiently and cost effectively transform your old vehicle into brand new one. Even all distinguished automobile manufacturing companies re-install their used engines in new models but after appropriate refurbishment. If they can they why do not you? I am aware that today in the market there is large amount of possibilities with regards to sellers and other car repairs. But it is necessary that among all you must locate the authentic opinion that can be one tedious process. But, if you are truly trying to find used Volvo engine for sale then search and re-search the market completely.